In a small bowl, beat egg whites until stiff but not dry. In a larger bowl, beat egg yolks. Then add milk and oil to egg yolks and beat again. Mix dry ingredients and add to egg/milk mixture beating occasionally as you go. Fold in egg whites. Heat a skillet on medium with a little vegetable oil or butter. Pour ¼ cup of batter onto skillet and cook first side until little bubbles appear. Then flip and cook for 1-2 more minutes or until deep golden brown. 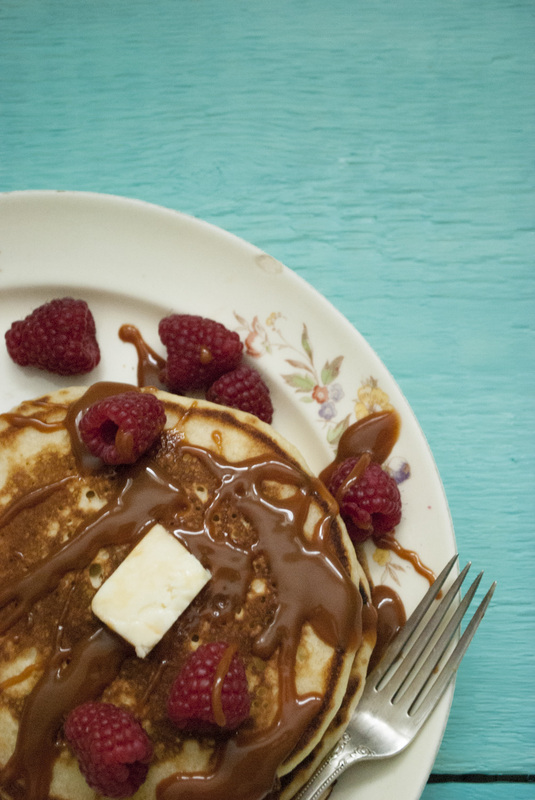 Serve with warm Fat Toad Farm Goat’s Milk Caramel and fresh raspberries.